Cynthia is one of our mitigation job file coordinators and will be coming up on her one year anniversary with SERVPRO. She has many years of experience as an accounting clerk, receptionist and other various office positions. She loves DIY projects, thifting, up cycling, gardening, and interior design. She has been married to her best friend for 35 years! They have 4 children together and 4 grandchildren. She also volunteers as a youth leader in her church. Brittany has been with SERVPRO for over 7 1/2 years. She started out as a production tech but quickly moved up in positions. She was a crew chief, production manager, job file coordinator, senior production manager, and is now our office manager. She is certified in WRT,ASD,AMRT,OSHA 10, Lead Renovator, and Asbestos contractor/supervisor. She enjoys hunting, fishing and spending family time with her 3 wonderful children. Jessica has been a part of the SERVPRO team for over 3 1/2 years. She comes from a background of customer service and cleaning. She has worked in the accounting and marketing department but has recently took on the role of reconstruction file coordinator. She has lived in Idaho her entire life She and her fiancé currently live in St. Anthony with their three dogs and enjoy being outdoors, four-wheeling, hiking and fishing. Duane has worked at SERVPRO for a little over a year. He works reconstruction and has training and certificates in water, fire, mold, rebuild, and recon. He has 4 wonderful daughters and 10 amazing grandchildren. 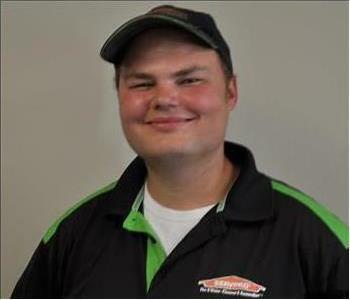 Matthew is one of our Reconstruction Technicians and has been with SERVPRO for over 1 year. His passions include building and working with his hands. He is married with a son and loves to spend quality time with his family. Martin loves his job as a reconstruction technician and has been working for SERVPRO for 2 1/2 years. He enjoys fishing, off-roading,andspending time with his family. Carlos provides amazing services as a member of our reconstruction crew. When mitigation services are done, he comes in to hang new drywall, sheet rock, and install baseboard. When he's not making our customers happy with his excellent work, he enjoys being a dad and spending time with his family. 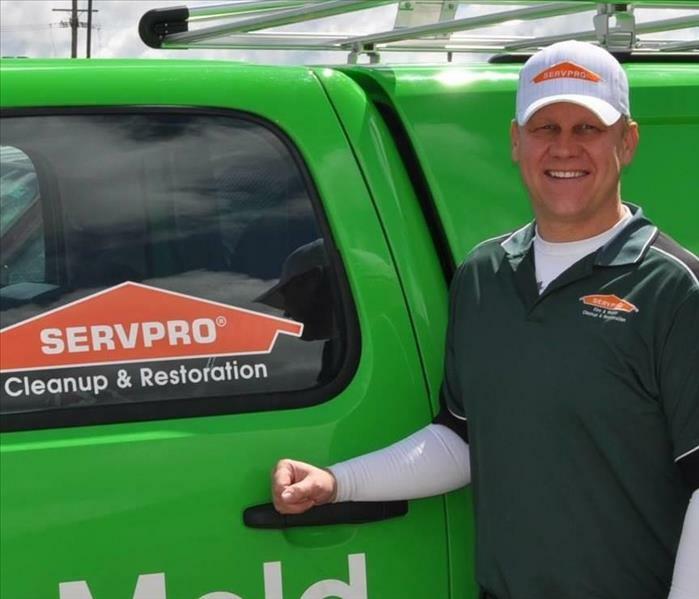 Rick started with SERVPRO this year and is one of our reconstruction job file coordinators. She has many years of experience working in office environments. She loves to building items from reclaimed materials and reading. She also gets to chase around a sweet little boy while he attends all of his activities. Megan is one of our Sales/Marketing Reps and has been with SERVPRO since 2017. She has over 13 years of experience in customer service and in the insurance field. She has her ETCP and is a licensed insurance agent. She loves running, hiking, camping, being outdoors and spending time with her amazing five children. 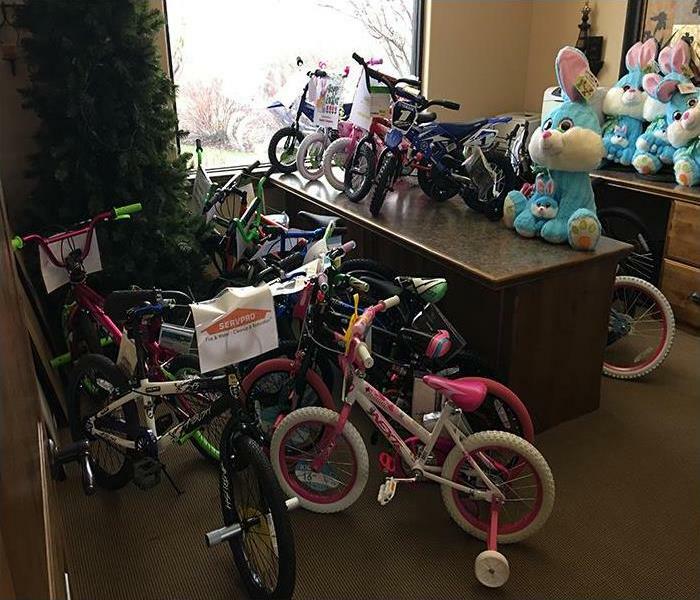 In her free time she is passionate about getting involved in charity work and is currently helping to support the Shop with a Cop charity and also Toys 4 Tots. Carlos has served as a Production Technician for SERVPRO for over 3 years now. He provides excellent customer service and hard work for our crew. 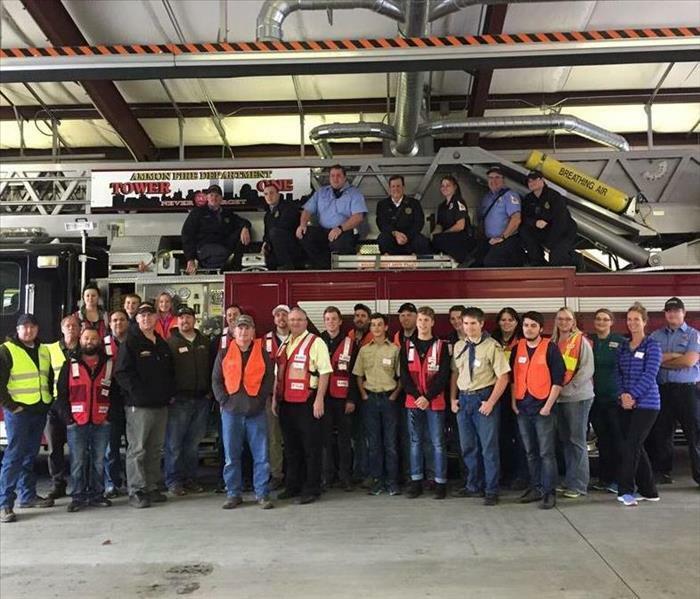 When he's not responding to emergency services for fire, water or mold damages, he enjoys mudding, camping, fishing, and spending time with his family and his fiancé. He is WRT, FRST, and Asbestos certified. 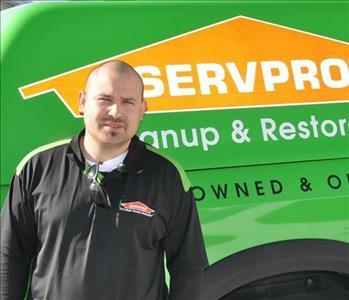 Alex is one of our Crew Chiefs and has been working for SERVPRO for over a year now. He has amazing customer service and always goes to great lengths to make sure our customers are always happy with the work that has been done. He enjoys spending time with his child and riding BMX. 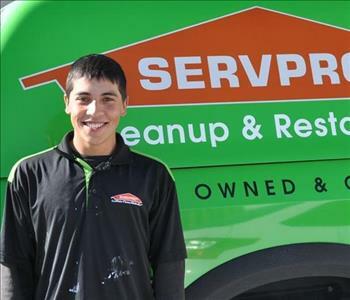 Adrian has been working for SERVPRO for 2 years now and is an excellent Crew Chief. He is certified in fire and water and absolutely loves working with our customers. He enjoys fishing and spending time with his wife and 5 children. He is very involved in church and is willing to help all who need him. Steven has been with SERVPRO for 5 1/2 years now and has recently been promoted to Production Manager! He is asbestos, WTR, ASD, and AMRT certified and has 6 years in cleaning and restoration. In his free time, he enjoys working on cars, fabrication, and learning new skills.